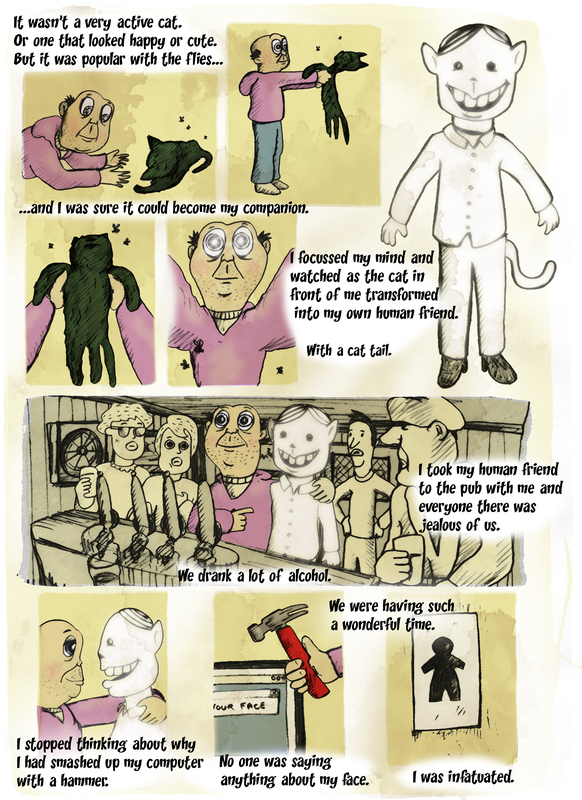 I’ve started submitting comics to Off Life magazine, in the hope that I can have one published in the free bi-monthly comic anthology that appears in bars, cafes and public places across Bristol and London. 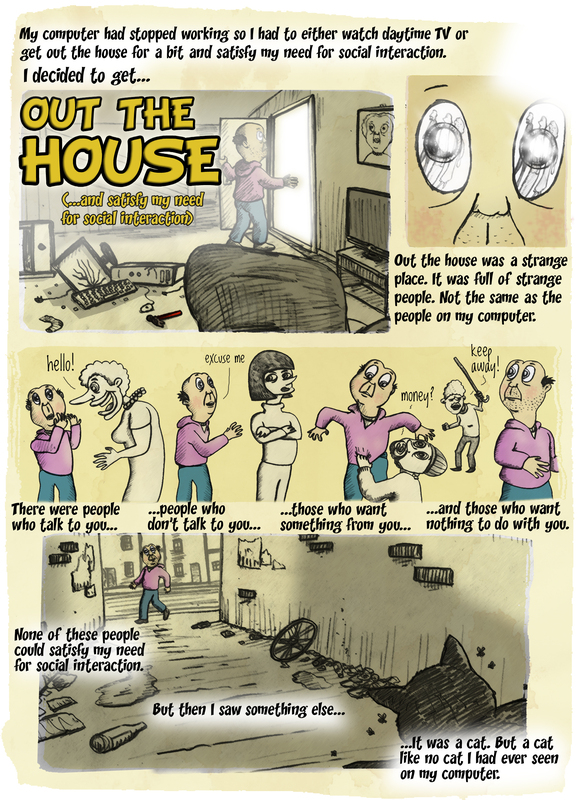 My first attempt was a three-page comic called ‘Out The House’ about someone who struggles to engage with the world outside. 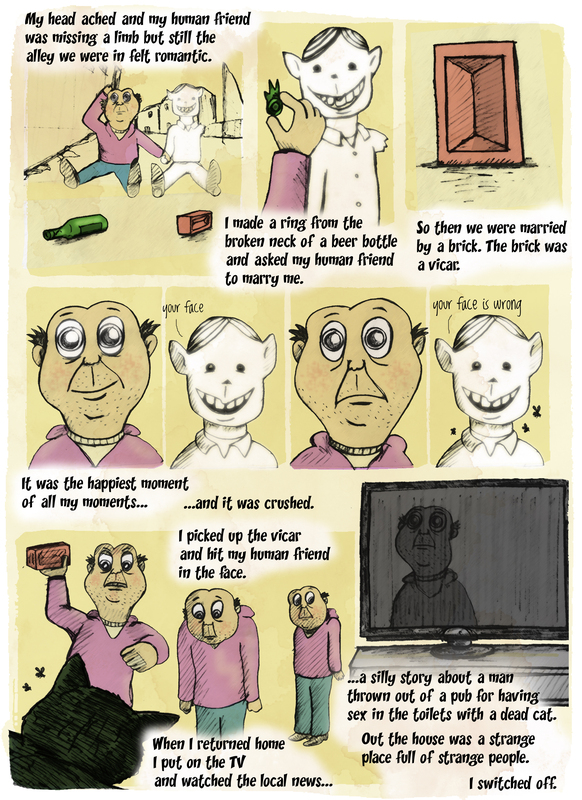 I’d tried to keep it down to two pages but even after a lot of culling of images and words it still feels a bit cramped. And there are too many words and it suddenly felt like I’d made the mistake of being far too ambitious with the amount of story I wanted to tell. 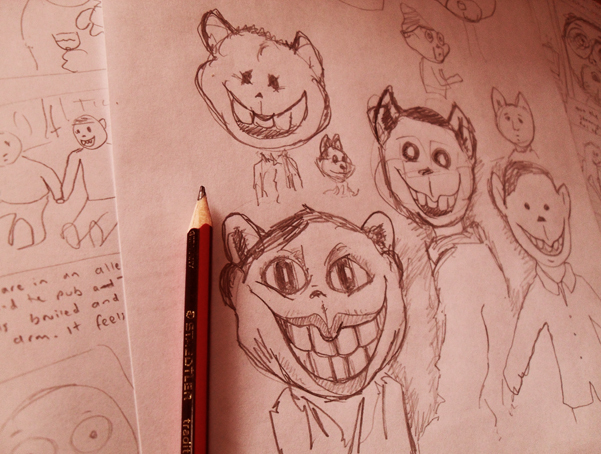 Next time I’ll be aiming to create a perfectly balanced one-page comic.